The society organises its own surveys and assists with surveys organised by CAWOS (Cheshire and Wirral Ornithological Society) and is also involved in national surveys organised by the BTO (British Trust for Ornithology). Help on any, or all of, these surveys is always welcome. 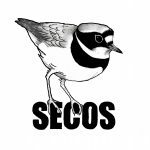 A new activity for SECOS, starting in 2018, is a bold attempt to learn more about the birds in our SECOS Recording Area, both in the breeding season and during the winter. It has been made very easy to do with just three visits of up to two hours in each season to record all the birds that you see in a local patch of your choosing.